Russ Sheehan from Get Down Tonight on Vimeo. Plays music to suit every crowd, every event, every time!! "Russ and Brandon exceeded my exceptions! They went above and beyond to make my day perfect and make sure everything was completed on time. My guests loved them!" "Russ was very thorough. Good follow-up. Had excellent suggestions for music. 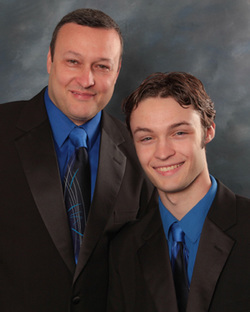 Having both Russ and his son, Brandon, there kept things running smoothly. Couldn't have picked a better DJ."